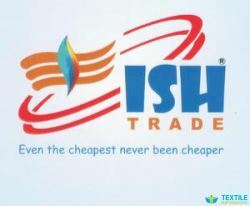 WE, Ish Trade is leading manufacturer of embroidery, mirror (Glass) in Surat, Gujarat, India. We have lots of variety in embroidey glass or abhala. We also accept embroidery job work on saree, lehenga, garment and lace work. We have our own infrastruece and big embroidery unit in sai embro industries. We make best class designer collection embroidery designe for our valuable customer. We also make order based garment embroidery work on net, dhupion and other types of fabric. We have so many collection in saree and we provide value addtion service on saree and lehenga.